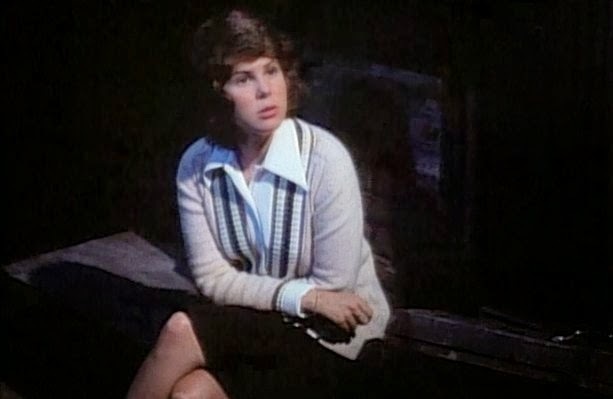 PART ONE: In this 4-Part interview series actress Kim Darby talks with Justin Bozung for TV STORE ONLINE about her work in such films as DON'T BE AFRAID OF THE DARK (1973), THE STRAWBERRY STATEMENT (1970), THE ONE AND ONLY (1978), and THE GRISSOM GANG (1971). TV STORE ONLINE: Tell me about how you came to star in DON'T BE AFRAID OF THE DARK (1973)? DARBY: I was just offered the part. I am so fat in that movie! When I was cast in DON'T BE AFRAID OF THE DARK I had come off of eighteen-years of amphetamines. I had been sober for only two weeks. I could barely hold my head up--but my work is very good. DARBY: Yeah, I was very centered and focused. DARBY: I needed the bucks! (laughing) I don't know, I guess I just picked it right. Because it is a very scary movie. 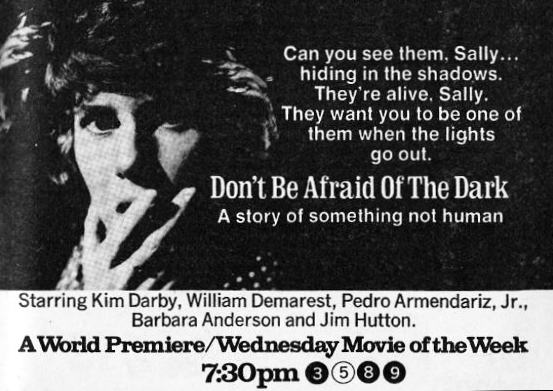 TV STORE ONLINE: Where was DON'T BE AFRAID OF THE DARK filmed? DARBY: Well, it was shot around a real house. I don't remember quite exactly where the house is now, but it was just one of those old Hollywood houses out there were many movies were shot. And then, the interiors we did all of that stuff on a sound stage. 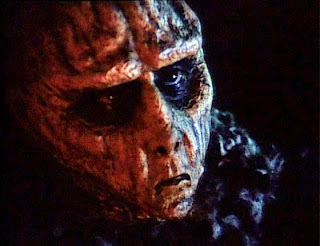 TV STORE ONLINE: Some time ago I read an interview with DON'T BE AFRAID OF THE DARK screenwriter Nigel McKeand. And in the interview he talked about how he really wasn't too happy with how the movie had turned out because there had been a few re-writes of his original script prior to the shooting...I was curious if you remembered anything to that effect? When you were offered the part was the script any different from what you shot around the house and on the sound stage? DARBY: No, I don't think so. But, you know, on a lot of television stuff--blue pages come in, yellow pages come in, I'm sure we probably went through quite a few different colors. I don't recall that anything significant had changed if I remember though. I don't know, it was a long time ago... Do you know that we shot that in just two or three weeks? TV STORE ONLINE: I do! Going back, for a moment, to what we talked about regarding how DON'T BE AFRAID OF THE DARK was the first movie you worked on that you had to carry on your shoulders... Was that easy to do for you? DARBY: I never thought about really. I never realized that I would have to do that. I just thought it was all part of my work. TV STORE ONLINE: The thing I love about your performance in DON'T BE AFRAID OF THE DARK is how you're in a constant state of fear... How did you get into that state of mind day in and day out? Was there something that helped you channel that? DARBY: Well, I had worked with [director] John Newland before. So if I needed something offstage---I'm very sensitive to hearing, real sensitive to that. So if I needed something--he might've given me more. He might have a crew member drop something off camera, or shake a piece of furniture. That way I'd know where to look. DARBY: Those creatures were real people. They were smaller people. They couldn't have their costumes on for very long because their lung capacity wasn't too good. DARBY: They were both great. William Demarest was a pro and James Hutton was just a dream to work with. TV STORE ONLINE: At the time when you made DON'T BE AFRAID OF THE DARK--it might have just been considered as "just another made-for-television movie", but today it has this strange legacy connected to it. It's remembered as being one of the scariest movies ever made. Does that surprise you that the film made such an impact on some many? DARBY: Well, I'm proud to have been apart of it. DARBY: I know. I would get letters from fans about it afterward.